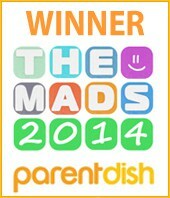 The 2014 MAD Blog Awards. A thank you. The more eagle-eyed reader may have noticed that I have swapped my shiny MAD Blog Awards 2014 ‘Nominate Me’ badge for a rather more shiny ‘Finalist’ badge. Go me! on Sunday 23rd March 2014, the #TeamHonk baton reaches John O’Groats. If you don’t know what I’m talking about, where have you been? The Deep is somewhere we have visited many, many times. It is the biggest attraction in our region and gets thousands of visitors every month. You can see my review of The Deep here. With the twins recovering from chicken pox and needing somewhere to burn off some energy on a windy day, we decided to go again and have a look at The Deep’s latest arrivals – four Gentoo penguins. So with our own penguins in tow, off we went. On Saturday evening, we made the trip over to Leeds to catch the first stop on the latest Disney On Ice production Worlds of Fantasy. 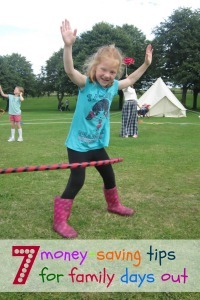 This is a repeat of the popular tour from a couple of years ago and is a great chance to see it again, and to introduce it to younger children. We had a brilliant time.